Jack Ryan introduced himself with a bang by giving us the best film in the entire franchise. 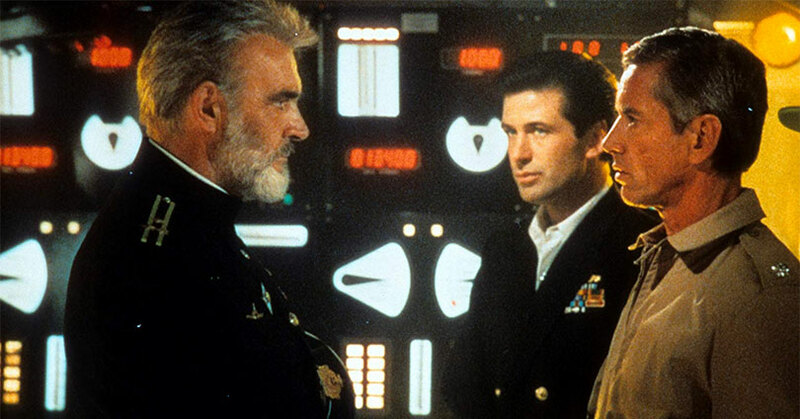 Behind an incredible cast of prolific actors, The Hunt for Red October is a thrilling beat-the-clock espionage film. Not to mention, submarine films are incredibly fun to watch when it’s done right. Needless to say, John McTiernan hit it out of the park with this one. The Die Hard director weaves an exciting mixture of political intrigue and submarine action. Not to mention, it’s always an exciting premise when it’s the U.S. versus Russia. Although this time, it’s a race against the Russians in order to the Red October. In a weird way, you’re rooting for the Russians to succeed and defect to the U.S. However, it does feel like Jack Ryan is overshadowed by the charismatic, Marko Ramius. Of course, it’s easy to overshadow someone when you’re Sean Connery. Sean Connery is easily the anchor of this film. Although Jack Ryan is the hero of this film, Ramius is the focal point. As a result, Connery provides the gravitas needed in order to pull off this daring mission. If you think about it, it must be extremely difficult to defect when the U.S. and Russia are deep into the Cold War. Be that as it may, there’s something really off about Connery speaking and playing a Russian. You can sort of hear him try to do a Russian accent, but his thick (and famous) Scottish accent overrides all of that. The same can be said about the rest of the non-Russians who are playing Russians. Sam Neill, Tim Curry, and Stellan Skarsgard all try to deliver their performances with Russian accents but only Tim Curry partially succeeds. Nevertheless, these prolific actors give some great performances to their respective roles. Unfortunately, poor Alec Baldwin gets the shaft here. It’s not entirely his fault though. Baldwin gives a great performance as Jack Ryan. Ryan is full of life and personality here. However, as previously mentioned, Baldwin gets overshadowed by Connery here. Overall, The Hunt for Red October is a fantastic introduction to the world of Jack Ryan. It’s a thrilling and interesting film that’ll put you on the edge of your seat. Not to mention, the film boasts a cast that every director can only dream of. October is easily the second best film in the Jack Ryan franchise. 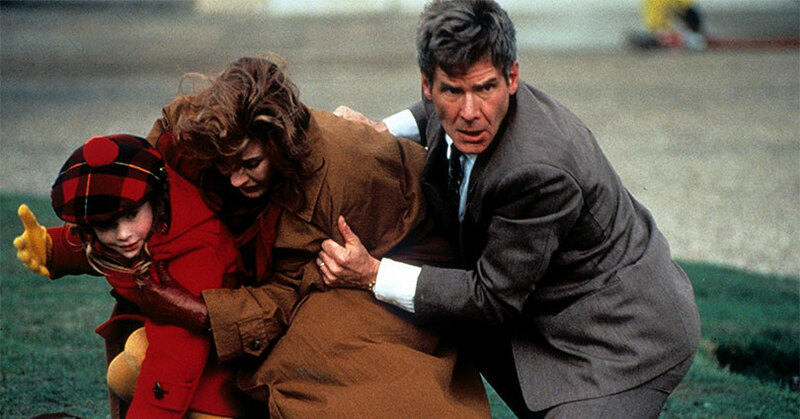 Whereas The Hunt for Red October focused on Jack Ryan during the early part of his career, Patriot Games focuses on Ryan after his time in the CIA. 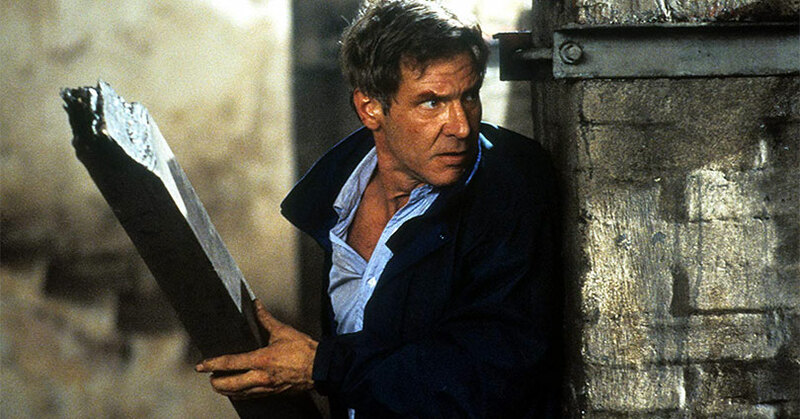 Because Ryan is now a professor at Annapolis, Harrison Ford seems to channel his inner Indiana Jones while playing Jack Ryan. It’s just a shame that the film isn’t as thrilling as Indiana Jones or even as The Hunt for Red October. Ryan isn’t trying to prevent a World War in Patriot Games. The stakes are on a more personal and emotional level for the character. Unfortunately, this also causes a drop in thrills and political intrigue for the film as well. Unlike the Russians, the IRA doesn’t have that same American villainous ring to it. At the same time, Sean Miller’s obsession with revenge isn’t something that strikes fear into the hearts of the audience. It never feels like Ryan and his family are in any mortal danger throughout the film. Despite the various attack on them, you just felt as if they were going to end up okay at the end of it all. In addition, we don’t see Jack Ryan at his absolute worst either. Typically when a film strips down a character, we get to see the character at his most vulnerable. However, we rarely get to see any vulnerability with Jack Ryan here. Ford plays him even keel for most of the film. Overall, Patriot Games isn’t the typical political thriller that you’ll expect from a Tom Clancy adaptation. Despite the personal stakes, Jack Ryan never show any vulnerability or a ton of emotion. Sure, he does get angry but those moments don’t happen quite often. Not to mention, film’s antagonists never seem to post a serious threat to the safety of Ryan and his family. If Jack Ryan was real, Patriot Games wouldn’t be a story that he would tell in his memoirs. It’s something that he would talk about as a side chapter instead. Clocking in at just under two and a half hours, the film runs a little bit long. However, the long runtime is needed because of the complexities of the storyline. In other words, there is a lot of intertwining storylines in this film. At the same time, these storylines are easy to connect which isn’t an easy task. The political intrigue on the war on the South American drug cartels is such a fascinating subject to cover. But it’s not just the cartels that make Clear and Present Danger so interesting. It’s all of the backstabbing and betrayals in the film too. As we’ve seen in Netflix’s “Narcos,” there is a lot of backstabbing within the cartels. So audiences expect to see that. However, betrayal within the American government isn’t something we expect to see a lot of in a Tom Clancy adaptation. Yet this outright betrayal by his own peers is what provides us with a deeper look into the psyche and resolve of Jack Ryan. This is the first time we’ve seen the many layers of the Jack Ryan character. In many ways, this is what we should’ve seen from Jack Ryan in Patriot Games. Jack Ryan is essentially brought down to his lowest point and we see just what kind of a character he is. Not to mention, we can see the influences of Ryan’s character on The Winter Soldier. There are many parallels between Jack Ryan and Steve Rogers too. After his dull performance in Patriot Games, Harrison Ford gives it his absolute all in this film. He’s charismatic, tough, and hard-headed. Basically, this is Ford at his peak performance. This performance is also the reason why general audiences consider Ford to be the prototype for Jack Ryan. Overall, Clear and Present Danger makes up for the dullness that was Patriot Games. All of the character development that was supposed to be in Games is finally unleashed in Clear and Present Danger. The film set the bar so high that there hasn’t been a good Jack Ryan adaptation since then. After the high note that was Clear and Present Danger, the Jack Ryan franchise mightily regressed with The Sum of All Fears. The core story is a very intriguing one. Having the U.S. and Russia go to war with each other sounds like a good idea if you’re a faction that wants to conquer both countries. However, the entire execution of the story concept just completely falls apart. Although the filmmakers try to inject some suspense and political intrigue into the film, it doesn’t quite have the edge that they wanted—especially as the story makes that shocking 180-turn. The film just becomes predictable and full of cliches. Be that as it may, the film is still intense. After all, a race against time to stop nuclear attack always seem to be intense. Also, there is a relevancy to The Sum of All Fears that still feels real even after the film came out over sixteen years ago. It’s just a shame that the film feels too generic instead of something special. In addition, the antagonists never have a huge impact on the film either. The film seems to introduce their intentions to the audience and then completely ignore them for the rest of the film. Development of story and characters doesn’t seem to be a priority for everyone involved. Thankfully, Morgan Freeman and Ciarán Hinds make this film better through their performance. Both actors certainly bring a gravitas to their role that seemingly no one in the cast is able to provide. This includes Ben Affleck, who seems to bring nothing new to the Jack Ryan role. Much like the film, his performance is generic and a bit bland. Overall, The Sum of All Fears is a mixed bag of good and bad. The film had the potential to be really good but certain choices deter this film from ever reaching that level. Nevertheless, the film is still an intense ride that’s good for at least one trip but nothing more than that. Several years after the release of The Sum of All Fears, espionage films have changed for the better. They’ve essentially become action-packed thrill rides with a ton of twists and turns included for good measure. Jack Ryan: Shadow Recruit seems to follow this route by making Tom Clancy’s CIA analyst boy scout into a badass agent. In this case, it’s plausible that Jack Ryan would be this good at spy work because he’s at the beginning of his CIA career. Sure, his recent back injury (as it’s been established in past films) should come into play here. Yet, as we’ve seen with Batman, one can fully recover from that. So that’s not really an issue as some people claim for it to be. However, there are a lot of convenient and lucky moments which moves the story forward. So there is a slight suspension of disbelief that must happen while watching the film. Also, the realization of who the terrorists are and where they’re terrorists going to attack comes in lightning fast. This moment shows us why Jack is such a good CIA analyst, but this scene does feel like it glosses over this character trait. Despite all that, the film plays out like a Mission: Impossible film. It doesn’t have any of the crazy gadgets, but it does have all the twists and turns of a Mission film. This gives the film the tension it needs to be a true Jack Ryan film. Unfortunately, the storyline isn’t as engrossing as a “millions of people are going to die” storyline. A second Great Depression is extremely serious but it’s not a very cinematic storyline. In addition, Chris Pine plays Jack Ryan similarly to his Captain Kirk. That’s not necessarily a bad thing since Ryan is a charismatic and intense character once again. However, as good as Pine’s performance is, it’s something that we’ve seen from him before. The same can be said about Kevin Costner as well. He provides some gravitas to his leadership role but his performance is something that we’ve seen from him before. Keira Knightley importance in the film seems to be shoehorned into the storyline. Essentially she serves no purpose other than being a plot device. In a way, it seems like she realizes it too because she doesn’t look like she gives much effort here. Kenneth Branagh is able to give a menacing performance as Viktor Cherevin but his Russian accent leaves much to be desired. Overall, Jack Ryan: Shadow Recruit is an exciting and action-packed entry into the Jack Ryan franchise. By all means, it’s not a perfect film but it’s still an improvement over the franchise’s previous effort. The Hunt for Red October hits 4K Ultra HD with a Dolby Vision/HDR10 4K transfer and a 2.35:1 aspect ratio. The video presentation is amazing. The detail clarity is crisp and sharp. The color saturation and skin tones look natural here. In other words, the colors aren’t particularly vivid nor are they dull. They’re exactly as they would be without a ton of post-production color correction. Much like the color saturation, the contrast is natural as well. Unfortunately, the inky black levels provide quite a bit of crush in the shadow details. As you can imagine, it’s an issue when a majority of the film takes place in the dark interiors of a submarine. Nevertheless, the brightness leads to some vibrant whites without any hint of bloom. Also, the film grain is barely noticeable throughout the film. Despite the crushing issue, this is a fantastic video presentation. Patriot Games hits 4K Ultra HD with a Dolby Vision/HDR10 4K transfer and a 2.35:1 aspect ratio. Patriot Games marks the first Paramount re-release that doesn’t look spectacular. The color saturation isn’t rich at all. In fact, much of the film has a lot of Earth tones to it. As a result, there’s a lot of brown, red, and orange colors tint in the film. However, that’s primarily a filmmaker’s decision and not a result of the video transfer. In addition, the contrast is pretty low for most of the film. The image looks pretty flat then there are times where the image has a lot of depth. Because of this, the brightness isn’t particularly vibrant at times either. There is also a good amount of noticeable film grain too. Nevertheless, the black levels are a deep black that doesn’t crush any of the shadow details. Also, the detail clarity is really good too. It’s not surprising since the film was originally shot in native 4K. Overall, this is a nice video presentation but it’s definitely not an amazing one. Clear and Present Danger hits 4K Ultra HD with a Dolby Vision/HDR10 4K transfer and a 2.35:1 aspect ratio. The video is a huge improvement over what we saw in Patriot Games. Because the contrast is smooth, there is a good amount of depth in the image. Not to mention, the black levels are a deep black and there’s no crushing whatsoever in the shadow details. Unfortunately, the brightness isn’t particularly high so the bright areas aren’t vibrant at all. In fact, these areas are a bit dull looking. The color saturation and skin tones look natural. Similar to Red October the colors look neither vivid nor dull. The colors are right down in the middle. However, there is a slightly warm tint whenever the scenes are in Colombia. As it is with the other releases, Clear and Present Danger was shot in 4K. As a result, the detail clarity is superb as each small detail is crisp and sharp. The film grain is barely noticeable throughout the film. Overall, this is an awesome video presentation. The Sum of All Fears hits 4K Ultra HD with a Dolby Vision/HDR10 4K transfer and a 2.35:1 aspect ratio. The black levels are a deep black but there is a good amount of crushed blacks in the shadow detail. Not to mention, there are several scenes where director Phil Robinson employs a high contrast look to the film. The bright areas begin to bloom while the shadow details are even more crushed. Nevertheless, the normal contrast scenes normalize the brightness which causes the bright areas to look vibrant without any sort of bloom. There is also a nice saturation to the colors as well. There is a good amount of colors and tints which look good in HDR. However, because of the tints, there is a slight skew to skin tones. They’re either too reddish or too cool. At least, the detail clarity is nice and sharp. Much like the other films, the film grain is barely noticeable in this release. Despite the crushed blacks, this is a good video presentation. Jack Ryan: Shadow Recruit hits 4K Ultra HD with a Dolby Vision/HDR10 4K transfer and a 2.40:1 aspect ratio. Since Shadow Recruit is the most recent Jack Ryan film, it’s no surprise that it’s the best looking video transfer of them all. The detail clarity is incredibly clean and sharp. Every stubble, wrinkle, and tiniest detail can clearly be seen. There is a nice contrast to the film which gives the film some depth. However, much like The Sum of All Fears, there is a good amount of lost details due to crushed blacks. At least, the black levels are a deep and inky black. Not to mention, the brightness gives the bright areas some vibrancy without any of the bloom. There is also a nice saturation to the colors as well. It may not be the most colorful film but the colors have a natural look to them. The same can be said about the skin tones as well. Overall, this is a good transfer despite the black levels issues. The Hunt for Red October hits 4K Ultra HD with a 5.1 Dolby TrueHD audio track. For a film that’s nearly 30 years old, The Hunt for Red October has an incredible atmospheric audio mix. From the music to the subtlest of atmospheric effects, the audio mix completely immerses you in the film. This is especially true for all of the submarine scenes. The subtle LFE rumble and the humming coming from the submarine fills up the entire soundstage. It’s a very nice touch that puts you up close and personal within the small confines of the submarines. Not to mention, the placement of these sound effects are accurate to their placement in the scene. Be that as it may, the mix does overpower the dialogue at times. Regardless, the dialogue comes in crisp and clear from the center channel. Needless to say, every speaker in your sound system, subwoofer included, will be used within this mix. Overall, this is an amazing mix. Patriot Games hits 4K Ultra HD with a 5.1 Dolby TrueHD audio track. This audio mix isn’t the liveliest of audio tracks. Then again, the film isn’t the most exciting either. When the action picks up, the score is really playful. A few instruments in James Horner’s score jumps back-and-forth from one speaker to another. Not to mention, the atmospheric sound effects completely fill up the entire soundstage. Although there isn’t much dynamism within the audio mix. So don’t expect to hear a lot of movement. The sound effects also suffer from a slight muffle—a byproduct of a film made in the early 90s. However, the dialogue is crisp and can clearly be heard on all speakers. Unfortunately, the LFE is barely noticeable in this mix so don’t expect this audio mix to have any weight to it. Overall, this another nice audio mix, but it’s definitely not an amazing one. Clear and Present Danger hits 4K Ultra HD with a 5.1 Dolby TrueHD audio track. For a film that has a lot of action in it, there isn’t a lot of immersion in this audio mix. However, when there is immersion, the LFE and atmospheric effects feel a bit static. They’re not dynamic nor do they fully immerse you within a scene. It’s an experience that feels a little bland, especially with all of the action in it. This includes James Horner’s score which doesn’t fully envelop the entire soundstage. It feels more like background music than a fully integral part of the scene. The dialogue from the center channel is essentially the primary focus of the audio mix. The dialogue can clearly be heard from the center channel. Not surprising since there isn’t much that it has to compete with. Overall, this is a good but bland audio mix. The Sum of All Fears hits 4K Ultra HD with a 5.1 Dolby TrueHD audio track. Since this is a newer release, the audio mix is absolutely fantastic. The soundstage is filled with a ton of dynamic panning and well-placed and accurate atmospheric sound effects. Not to mention, Jerry Goldsmith’s score also fills the entire soundstage as well. The dialogue has a nice crispness to it that isn’t found in the earlier Jack Ryan films too. In addition, the LFE gives some weight to the mix—especially as the bomb is going off. Every just sounds fresher and less dated than the others. Overall, this is a great audio mix. Jack Ryan: Shadow Recruit hits 4K Ultra HD with a 5.1 Dolby TrueHD audio track. Much like the video transfer, the Shadow Recruit‘s audio mix is very good. There is a lot of immersive and atmospheric sound effects that put you in the film. Not to mention, Patrick Doyle’s score permeates through each and every single speaker as each individual speaker plays a different layer of the score. The dialogue can clearly be heard from the center speaker. Thankfully, the dynamic and booming audio mix doesn’t drown out all the dialogue from the center channel. Needless to say, your sound system will go to work with this fantastic audio mix. The Hunt for Red October, Patriot Games, Clear and Present Danger, and The Sum of All Fears are all lacking in the special features department. Nevertheless, the behind-the-scenes featurettes for these four films may be old but every single one of them is still informative nonetheless. Thankfully, it’s not a featurette that has a cheesy narrator in it. Instead, the featurette has a modern feel where the cast and crew recollect about the making of the film. Not to mention, these featurettes cover a wide array of subjects and each featurette goes really in-depth too. Unfortunately, after you’re done with the featurettes, there isn’t anything else to see on these discs. With The Sum of All Fears, there are a lot of behind-the-scenes featurettes to go through. Thankfully, every single featurette on this disc is made in the same way as the other films. “A Cautionary Tale” is made in the same thread as the other ones but “Creating Reality” provides a separate yet similarly deep in-depth look at the film’s visual effects. Now, with Jack Ryan: Shadow Recruit the special features content are completely different. Yet they all feel the same because each featurette is an interesting and in-depth as the past four films. “Old Enemies Return” provides such an in-depth historical look at the tension between the U.S. and Russia. Historical geeks will definitely get a kick out of that one. “The Smartest Guy in the Room” takes an informative look at the Jack Ryan character through its history and in Shadow Recruit. “The Tsar of Shadow Recruit” takes a look a Kenneth Branagh as a director and actor. It’s the kind of featurette that gushes over Branagh as a director and actor. “A Thinking Man of Action” looks at all of the action and stunts in the film. The featurette provides a nice inside look at the making of an action scene. The deleted and action scenes have a few gems in there but it’s easy to see why these scenes were cut from the film. 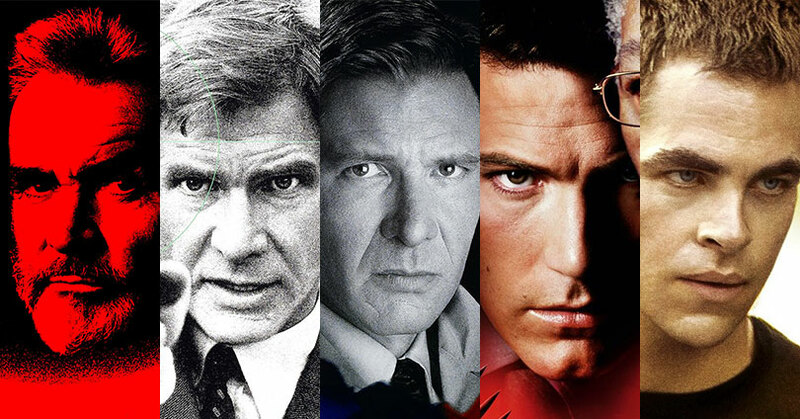 Overall, the Jack Ryan 5-Film Collection is an eclectic collection of good and bad films. Thankfully, there are more good films than bad in this franchise. Although there are slight issues with the video presentations, almost every audio mix in this collection is superb. The special features may be limited but each release has some incredibly informative featurettes in it. It’s definitely a quality over quantity kind of situation. This Blu-ray was reviewed using a retail/advance copy/unit provided by Paramount Home Entertainment. The post Jack Ryan: 5-Film Collection – 4K Ultra HD Blu-ray Review appeared first on Nerd Reactor.